Korean powerhouse – MVP PK, lose solo, glow. CS:GO was first played at the 8th World Championship last year in Jakarta, Indonesia. 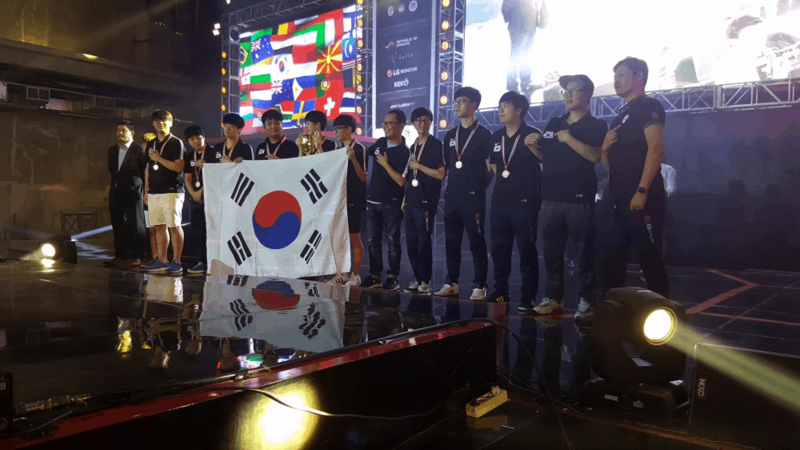 The gold was taken by Finland (ENCE eSports), silver by China, and bronze was taken by South Korea. Last year, CS:GO recorded the highest viewership figures. We look forward to the enthusiasm once again this year and wish the best of luck for all the players in the national qualifiers. After disclosure of official game titles, all 46 member national federations of IeSF will commence the national qualifiers, and such selected teams and players from the qualifiers will be dispatched to the World Championship as representing their esteemed countries with the endorsement from the government or the national sports authorities. No further details have been released on the national qualifiers as yet. Last years tournament saw three official game titles being played: League of Legends, CS:GO & Hearthstone. The 2016 CS:GO tournament saw a prize pool of US$20,000 with Finland’s ENCE Esports taking first place, China’s TYLOO silver and Korea’s MVP.Project taking bronze. Stay up-to-date on the qualifier details by visiting their official website here. For the biggest news & insights on the Asian CS:GO scene and upcoming content like this, be sure to subscribe to our newsletter. Don’t forget to follow CSGO2ASIA on Facebook, Twitter & YouTube. APL Season 6 – Bigger Prize Pool for Division 2 is Finally Here! What is the best CSGO platform in Asia? Sign up for the CSGO2ASIA Mailbag! Get the latest updates from the Asian CS:GO scene, invites to special events, and free stuff.